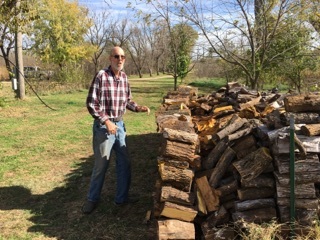 The CCK staff of McPherson showed their care for a patient in ways beyond the walls of the treatment center after overhearing that a patient would not have any wood for the winter. Our staff at this CCK location say that John Stucky is in frequently for treatment which has given them a chance to get to know he and his family quite well. 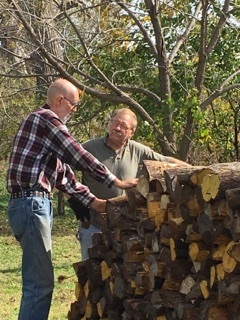 Upon hearing that this patient, who lives in a log home that is heated entirely by fireplaces, was concerned about the upcoming cold weather the staff decided to take things into their own hands and help where they could. Multiple employees were giddy to volunteer towards this cause. 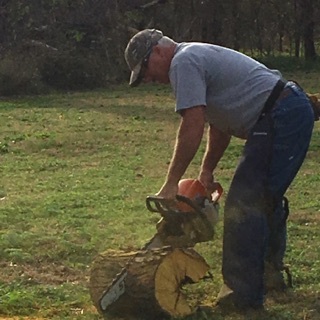 Traci Fish, a CCK nurse, volunteered her husband’s wood splitter and chain saw. 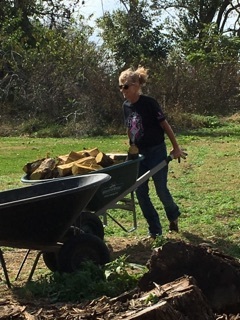 Sarah Vogts, our scheduler at this office, had family wanting to volunteer their tools and time as well. By the end of the recruitment process, most of our CCK McPherson staff, and much of their family, was in on this wonderful surprise for John! “No one was a stranger,” stated Vickie. 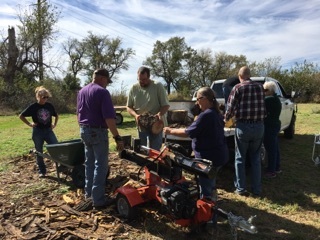 Upon finishing up recruitment, our staff contacted John’s daughter, Krystal, and arrangements were made for drinks, snacks and a solid day of wood splitting on October 29th. 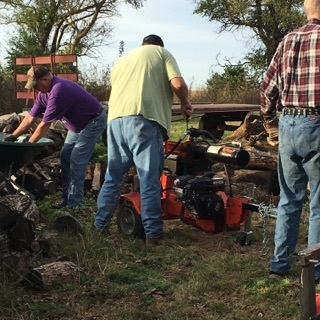 The staff, spouses, and other family members, arrived in the early hours of morning to get organized and begin the wood cutting, splitting and stacking. 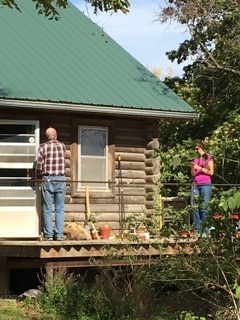 They worked from 9:00am to 2:00pm with coffee and snack breaks in-between, all the while giving John the job of supervising! 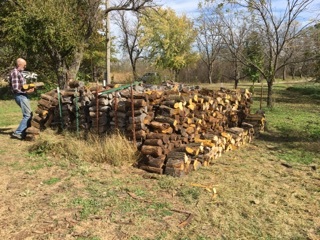 Of course with his considerate personality, he had to stack a bit of wood himself as he felt so humbled and grateful for this day. In conclusion,”We have never been dirtier, more tired, yet more satisfied. 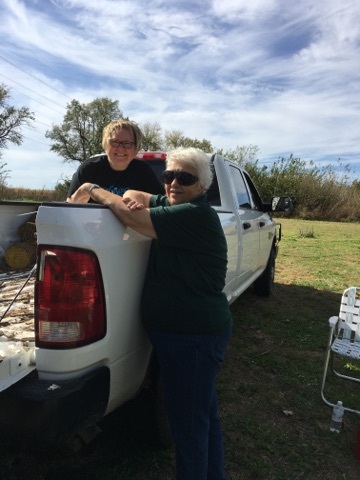 My heart is so full!”, said Traci as she reminisces. 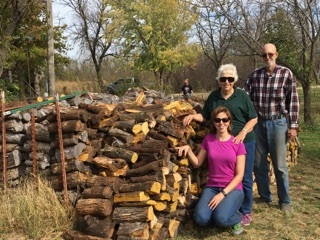 After finishing up for the day the staff and other volunteers eye-balled the stacks of wood and mutually agreed that they were the ones whom had received a gift. Not only was this an incredible team building day, but an incredible day of compassion. The Cancer Center is so proud to have such great staff within our offices, as well as great patients! We treasure our opportunities to help beyond the walls of our facilities. Please see our gallery below for pictures from this day.